I am glad to be a member of a community that cultivates values of exploring various corners of the Earth. X-Team supports this by organizing the so called X-Outposts. 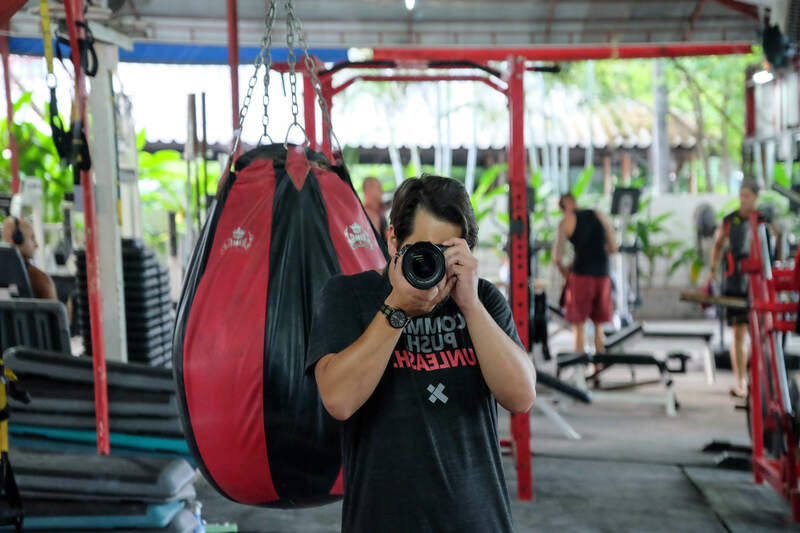 I had the greatest pleasure of attending a few of those, but the X-Outpost: Thailand still remains the one that has had the biggest impact on me. It was a foggy morning on a distant coast, far away from home. The sea waves were humming a foreign melody, boats of exotic shapes somnolently swayed to the beat. The air smelled of the unknown. But it also smelled of adventure. Standing there and gazing at the bleary outline of Koh Phangan, our destination, made me feel it again. The overwhelming thrill. The promise of experiencing new colors, new tastes, new faces, and voices. The promise of my growth. Before embarking on a new journey and the ferry that was supposed to transport us to the island that takes its name from a multitude of its pearly white beaches, we had to cross a number of decks. Boats were moored next to each other, forming a pier. A disappointed bridge. I had a hunch, though, that once I get to sit at its end, I will not be disappointed. My intention was to stay in the land of Thais for two weeks. I once figured that two weeks is a perfect duration for a visit to a single location. After all, we were going to a medium-sized island. I imagined I will have it thoroughly explored by the end of the fortnight. But, the moment I left the ferry and stepped onto a new shore, I felt a shift in the surrounding reality. And I knew, all of a sudden, that two weeks will not be enough to have a proper taste of this exotic world I just shook hands with. Serenity on tap — this is one way I could put it. 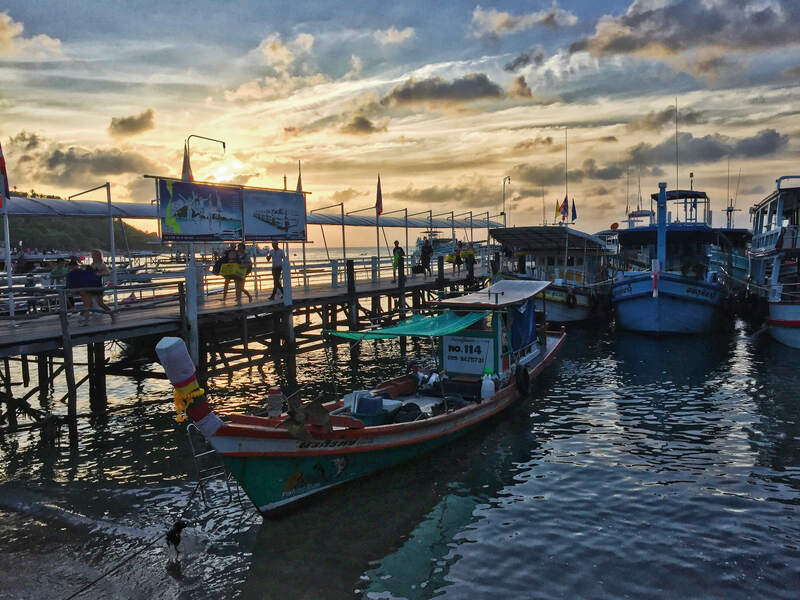 Life on Ko Phangan seems to be happening closer to nature. For a guy who spent most of his existence in a city, a jungle of concrete and metal, being surrounded on a daily basis by wild trees, ocean waves, and sometimes not-so-pretty animals, was a breakthrough. I learned how to slow down, how to be a partaker, not merely a spectator of the show that is happening incessantly around me - the show that is called life. I believe it was on that remote island, where I learned how to step in into a living reality, how to immerse myself in the present moment; it is where I have developed a deeper understanding of “how to be”. But on top of that, I also learned how to immerse myself in an ocean, wearing a full scuba-diving kit. The almost two months — because that is the period my “two weeks” evolved into — were full of amazing experiences. Together with my colleagues, who quickly became my friends for life, I got an Open Water Diver license. It was my first time diving in such environments — and I fell in love with it. The feeling of flying you get when being surrounded by curious yet timid fish of innumerable colors is indescribable. 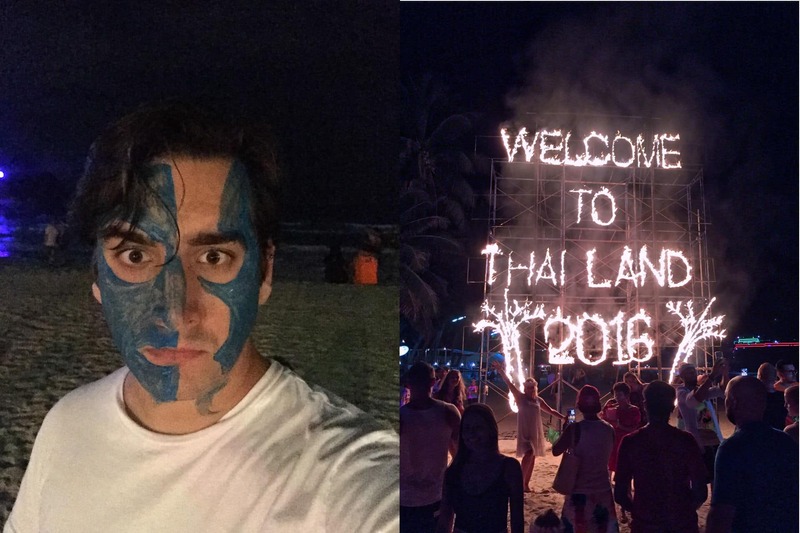 I also experienced how Sir William Wallace (or at least his movie alter ego…) would have felt if, by a strange twist of fate, instead of on endless meadows covered with thick mists, he had found himself on a beach under a full moon and stars flickering in the accompaniment of loud music. I had a taste of Thai martial arts. There I learned that a skipping-rope in just fifteen minutes can make you feel as if you were going to die if you do just one more jump. I gazed at the most breathtaking sunsets I have ever seen. No OLED 8K TV will ever beat these views. I experienced what it is like to live by the azure waters that have the power to calm your mind even after the most furious storm of thoughts. Finally, or perhaps I should write initially (as it happened on our first day), I learned what it is like to be greeted in our temporary home by a snake that apparently got as intrigued by us as we were by its homeland. I feel like this place has changed me somehow. Maybe it was the song of waves, whispers of tropical leaves, geckos' shyness and the rhythm of their nimble, tiny feet. Maybe it was the people who don't know what it means to race the clock, people who live here and now; not in the mysterious, sometimes terrifying realm of tomorrow. Or maybe it was the time itself. The time that decided to downshift, take the slow lane and get me on a trip around the island to teach me how to stop now and then, listen, watch and breathe. How to be more. Curious about X-Team's latest adventure? Check out the [X-Outpost Poland Diary](https://x-team.com/blog/x-outpost-poland-diary/).